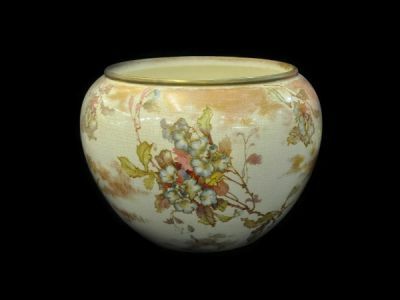 Royal Doulton Burslem jardinière with typical cream background; ivory with hand tinted colour and gilding. Floral motif. Sits 18 cm high.